Do your services eliminate manual cleaning? 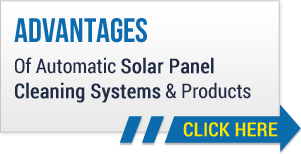 What are the advantages of a solar panel system? What are the advantages of clean solar panels? Can your systems be attached to homes? Do you offer solar panel anti-theft devices? Do you carry devices to help in securing solar panels? Do you offer solar panel security fasteners in addition to cleaning systems? Do your automatic cleaning systems work for Sharp solar panel cleaning? Does Heliotex™ offer a Mitsubishi solar panel cleaning system? Do you have products conducive to Kyocera solar panel cleaning? Are your cleaning systems compatible with Suntech solar panel cleaning? Do you have systems in stock for Sanyo solar panel cleaning?